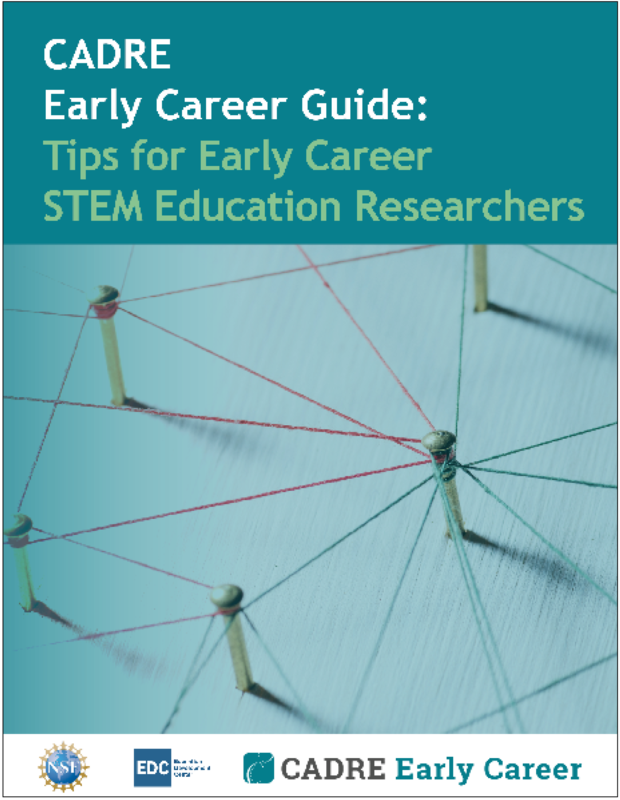 The CADRE Early Career Guide offers advice from experienced DR K-12 awardees on becoming a successful researcher in the field of STEM education. The guide also profiles a support program, the CADRE Fellows, for doctoral students in STEM education research. Guidance on searching for positions in academia, industry, or the nonprofit sector; developing an application; preparing for the interview; and getting started in a new job. Insight into developing ideas for a manuscript, the writing process, navigating authorship, choosing the right journal, and the journal review process. Guidance on networking strategies, how and where to make connections, and how to sustain professional relationships. A guide through the proposal development process, from the earliest stages of developing a proposal idea to the NSF review process and beyond. Part lll of the guide describes a model for supporting early career STEM education researchers based on the CADRE Fellows program, and provides strategies and resources to guide those who supervise, advise, or mentor groups of early career STEM education professionals. It offers a detailed description of the structure and objectives of the CADRE Fellows program, the design of the activities within the focal themes, and insights into the impact of the program.